Dating back more than 300 years, Chateau Moulin-a-Vent has for centuries been the emblem of the Beaujolais Cru of the same name. 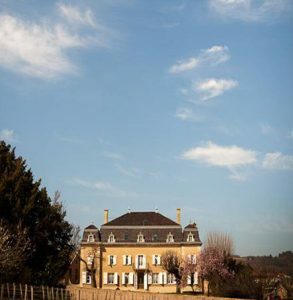 The chateau is located in Moulin-a-Vent, one of ten villages which are considered the best vineyards of Beaujolais and therefore allowed to sell their wines under their village names. The chateau became well known for quality wines early on in its history thanks to the work of Philiberte Pommier (1763-1862) whose family owned the estate from the 18th to 20th century. 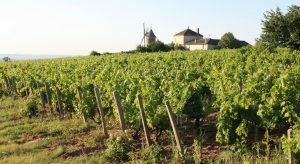 Philiberte was the first to recognize particularities in certain vineyards and identified the best parcels for growing the appellation’s most import varietal, gamay noir. She was also one of the first in the region to make wines from individual vineyards instead of blending grapes from the entire estate, allowing each vineyard’s unique terroir to show. Thanks to the work of Philiberte, the wines became highly reputable and even won top prizes when presented at the 1862 World’s Fair in London, which helped give international notoriety to the chateau and the Beaujolais region. After the death of Philiberte the same year as the World’s Fair, the chateau was handed down through the family until 1911 when they decided to sell. Towards the end of the 20th century, the estate and wine-making facilities fell into disrepair which had a noticeably negative impact on the quality of the wines. By the early 2000s, the majority of the wine produced was being sold in bulk to larger negociant companies. However, Chateau Moulin-a-Vent experienced a renaissance in 2009 when it was purchased by an IT company founder, Jean-Jacques Parinet. Inspired by the philosophy of Philiberte Pommier, Jean-Jacques Parinet has gone back to estate bottling while creating wines which reflect Moulin-a-Vent’s terroir. According to Parinet, the chateau’s greatest asset is its terroir. With granitic soils rich in manganese and iron oxide, the estate is indeed blessed with the ideal terroir for growing powerful and structured Gamay which is why the wines can stand up to barrel aging. Vineyards situated on eastward facing slopes allow for perfect sun exposure which helps ensure grapes reach full maturity. 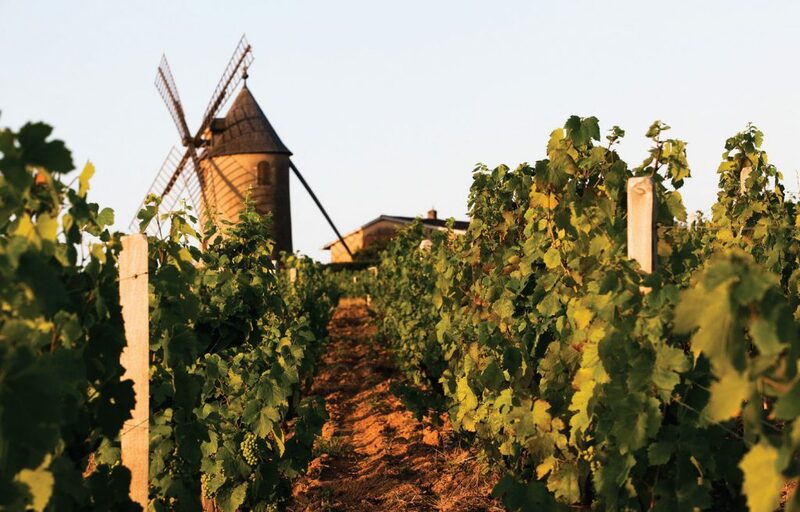 At the same time, the same southerly winds that power the old windmill from which the appellation gets its name also protect the vines from diseases and help retain freshness. The new owner also made huge investments in the property by replanting much of the vineyard and renovating the winemaking facilities. Parinet also imposed higher quality standards to produce expressive wines with lower yields and long maturation periods. Along with new quality standards, Parinet made the radical decision to abandon the technique of carbonic maceration which is standard practice in Beaujolais. 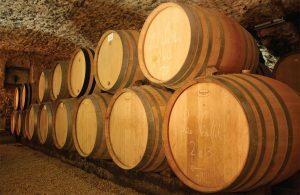 Instead, all grapes are completely destemmed and wines are even aged in barrel. The resulting wines are very Burgundian in style and can easily be confused for a Maconnais red when blind tasted. 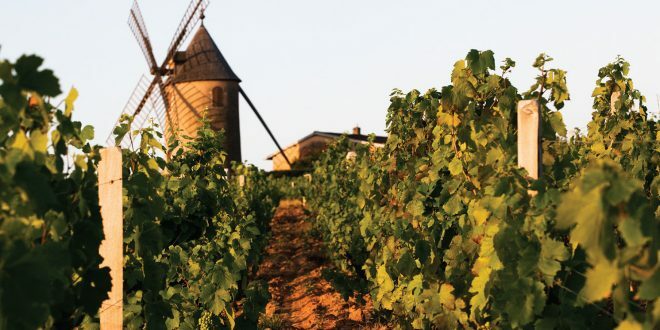 Thanks to the improvements made by Parinet, Château Moulin-à-Vent is now making some of the best examples of the Moulin-à-Vent appellation and are an excellent value alternative to Burgundy.